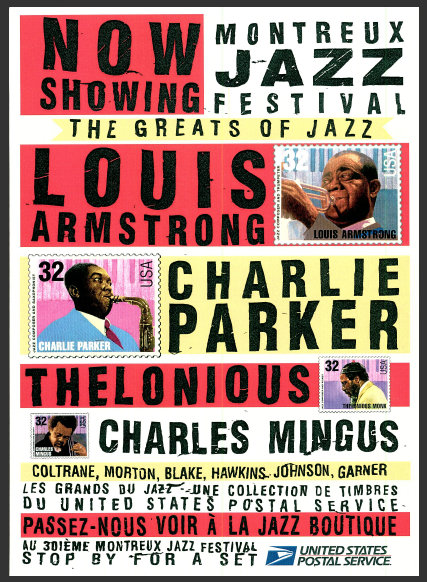 “USPS Jazz Stamp Introduction” created for DraftFCB (formerly Lee Hill). 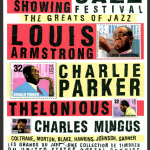 Launching a legendary stamp collection included the creation of an authentic and collectable jazz poster. To make the event even smoother, we introduced the stamp set with a free jazz masters CD and this poster at the Montreux Jazz Festival in Switzerland. Incidentally, this was the first international presence for the U.S. Post Office and a big hit with stamp collectors worldwide.